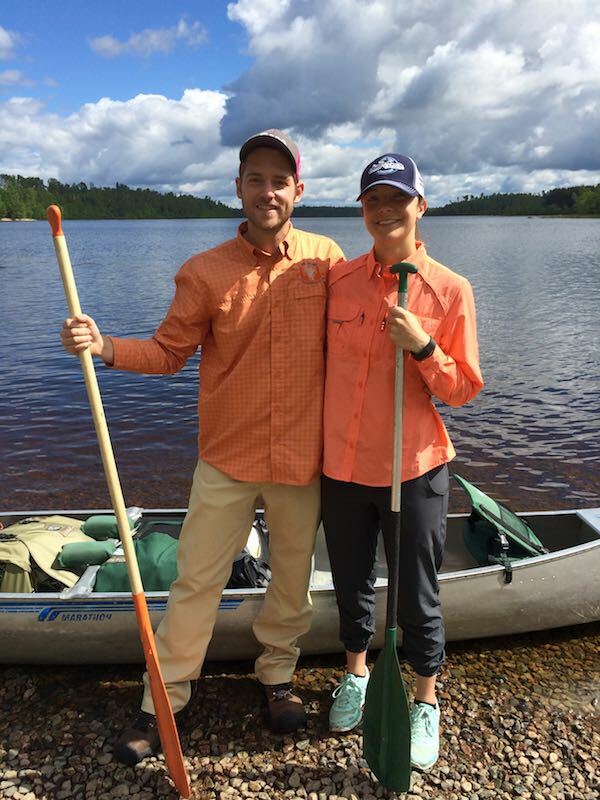 Boundary Waters Outfitters Reviews, Ely MN | Cliff Wold's Outfitting Co.
Boundary Waters Outfitters Reviews | Cliff Wold’s Outfitting Co.
Several friends and I have been making trips to the BW for the last several years now and have been going through Cliff Wold’s every time. Ryan does a great job at recommending different routes based on the skill level and desire of trip (fishing, scenic, etc. ), reserving the permit, and handling all the paperwork and reservations. Easily one of the nicest and most hospitable guys I’ve met. He outfits a lot of groups but remembers me every year I call him. Besides Ryan, the rest of his staff has always been great to deal with; always fun getting to hear stories and a different perspective from the locals. I have no problem with recommending and giving Cliff Wold’s a 5 out of 5 Stars Rating. This past summer I ventured on a trek to the Boundary Waters with the Boy Scouts. It was an amazing experience, but wouldn’t have been the same if it hadn’t been for Cliff Wold’s. Ryan’s willingness to help plan and answer any questions you may have makes the customer service phenomenal. When compared to other outfitters in the area, Cliff Wold’s provides the best value for your dollar. They are highly affordable, but don’t lack quality in making the adventure fun. I definitely would recommend them. An easy five stars! My first trip to the BWCA was in 1976 with several fellow recent high school graduates. We were definitely novices. I think most portages took at least 3 trips. Near the end of the week one of our crew got pretty sick. We made a long push and got back to the landing a day early and in the middle of the night. Getting to a payphone (yes kids believe it or not there was a time without cell phones) we called the number we had for Cliff Wold. There were no questions asked, he had someone sent out to get the canoes and gear and we were put up in a bunkhouse. The next morning no complaints about a late night call just fresh coffee and concerns that everyone was OK. Cliff had our back and that kind of service is what keeps people coming back. Time warp 30, almost 40 years into the future, I’ve made numerous trips with our scout troop and just last year with my boys. While Cliff is no longer with us his business is still just like it was that very first trip. Ryan Olson and his staff deliver that same amazing service that Cliff was famous for and those are some awesome shoes to fill. That is what keeps me coming back (and the coffee). I went on a Boundary Waters trip with my dad and a couple friends and we were extremely happy with how the trip turned out. Every staff member was very polite and helpful and Cliff Wold’s was a great choice. The only thing that I would have changed is it would have been helpful to get a better idea of just how difficult the portages would be with an aluminum canoe all the way to Knife Lake. Given our level of physical fitness at the time, we probably should have chosen a lighter canoe. All in all, it was a great trip and very well planned out! I had an exceptional time in the BWCA this past summer (my first time), thanks largely in part to Ryan and his staff at Cliff Wold’s. The staff was knowledgeable, helpful, and fun from beginning to end. It’s clear they’ve fine-tuned their process over the years because we had everything we needed on our week-long excursion. Even I, as a vegetarian, was impressed by the options (and quantity) of food they provided for me—I can’t say the same about most restaurants! I’m thankful for their knowledge of the area and experience; it sure made for an enjoyable trip. What a great staff! They couldn’t have been more helpful and encouraging. We brought along a number of “extras” we thought we would need and they had thoughtfully been included in our supplies. The food was very good and there was nothing I would eliminate. There were 4 of us and because of rainy weather we didn’t move around as much as we had planned and ended up with food left over after almost every meal. The only addition I would make is to have a map in each canoe. I would highly recommend Cliff Wold’s Outfitting Company to anyone planning a trip to the BWCA. I took our Boy Scout Troop to the Boundary Waters; working with Ryan and his staff definitely made our trip great. They were more than willing to work with the equipment that we already had and made suggestions that were very useful. From planning the trip to completion it could not have gone better! I would and have recommended Cliff Wold’s outfitting for your trip to the Boundary Waters. Ryan and the crew helped our group through and through. When things don’t go as planned with our itinerary he was there to adjust, accommodate, credit our account, and set us in the right direction. Planning the trip is super simple with great forms for selection of gear and food. We have used them multiple times and will use Cliff Wold’s again. Their traditions and legacy in Ely is second to none! Cliff Wold’s provides the complete package when it comes to outfitting in the Boundary Waters. If it is your first time, or your 20th year Cliff Wold’s staff will make sure you are prepared for the adventure ahead. The Boundary Waters are a majestic place best seen from the bow of a canoe. I have been on two treks organized by Cliff Wold’s; each one has left me with a deeper respect for nature and self. No other outfitter respects the traditions and power of the BWCA as much as Cliff Wold’s. For over 20 years my brother-in-law and I have been using Cliff Wold’s to outfit our wilderness trips. That alone should say a lot about what I think of Cliff’s, but it doesn’t tell half the story. Since Ryan has taken over the business, he has improved our experience by upgrading equipment while keeping the basics like the food and service at the same high quality – actually, even better than before. Ryan has helped customize our trips based on what we like and enjoy. The food is good and plentiful. Even when we bring the younger guys with big appetites, there is always plenty for everyone to eat. Two of our last three trips demonstrated the level of service Ryan cheerfully provides. On one trip, we were seven hours late arriving at our pickup point due to a rain storm and high winds. We expected we would be camping in the parking lot until the next morning. To our surprise and delight, Ryan was there waiting for us. On another trip we needed to be picked up a day early due to a family emergency. Miraculously, we were able to make a cell phone call and arrange for Ryan to pick us up early the next morning at a convenient pickup point. Ryan is knowledgeable about the BWCAW and helps us plan our routes based on local conditions that vary from year to year. Suggestions on the best fishing spots and things to see (such as Dorothy Molter’s island and Ribbon Rock) add to our enjoyment. Small suggestions like using canoe seats made paddling easier and more comfortable. All equipment is kept in top notch condition. Even after 20 years, we expectantly look forward to our Boundary Water trips. We are confident that we will be well taken care of by Ryan and his staff. We went out in the BWCA in August 2015. Cliff Wold’s was great. The outfitting was amazing and we had great meals and equipment for a reasonable price. We basically could have had a “feast” every night. Two suggestions I would have are: make sure that you take a pulley or have them give you one, and do not refuse the camping stove and fuels. It rained the entire time we were there and it was basically not possible to start a fire. While I wouldn’t bring the kitchen sink, don’t overstress about weight, everyone we met doubled back on the portables to get gear. These guys know their stuff so you don’t really need to load up at REI before you go, just bring what they suggest on the website. I can’t think of a better outfitter for a group on the Boundary Water Canoe Area. Ryan and his staff run a tight ship, provide great food and equipment, and are reliable and trustworthy. I’ve brought many groups up to Ely over the years, as early as the early 70’s and as recent as the summer of ’15. Still great service! Had a great time and your service is wonderful. It’s nice that you outfit us with all we pretty much need for an adventure in God’s creation. I’m not a camper or canoe owner so having Cliff Wold’s outfit the trip is a great service. Recommend you guys highly. Thank you. My friends and I been using Cliff Wold’s as our outfitter in the Boundary Waters since 94′. I can’t say enough about Ryan and his staff; knowledgeable, dependable, and friendly. Not once have they ever given us a reason to look at another outfitter in the BWCA. We’re already in the planning stages for our 2016 trip through Cliff Wold’s. Everything was in order when we arrived just like all the years before. Meals are great and many of the items go well with all the fish we catch. Ryan and crew are always interested in making sure we have a fun memorable trip. The Boundary Waters is a beautiful destination for fun and relaxation in the beautiful outdoors. Cliff Wold’s, under the leadership of Ryan, continues to provide outstanding service! We utilized his services this past fall. It was an excellent experience. We did a complete outfitting so all we brought was our clothing and fishing gear, Ryan did the rest! I would recommend Cliff Wold’s to anyone who is interested. I have been a longtime fan of this business having first been outfitted by them in 1977 with steady service since that time. If you are looking for friendly service matched with excellence then this is the group to work with!! We went this past summer and as a first-timer, Cliff Wold’s was perfect! They got us everything we needed to make our trip safe and most importantly, fun. The Boundary Waters are beautiful. It’s a perfect place for a family trip. None of us were ready to leave! We’re all excited to be back this coming summer…maybe for longer and hopefully with even more family/friends in tow! I would recommend Cliff’s to anyone looking to relax, have fun, and to be reminded of the things that are most important: fresh air, family and fun! Though 19 years apart, my second BCWA trip through Cliff Wold Outfitters (August 2015) was as well managed as the first (1996). This was a surprise 70th birthday trip for the guys in the family, and took a couple of years planning to organize it all. My wife appreciated how helpful Ryan was throughout the process. The actual trip was great – all the equipment was ready for us and in good condition. The food was plentiful and delicious. My grandsons all enjoyed the adventure and their time together, as did their dads and grandpa. We’ve recommended Cliff Wold’s in the past and will gladly do so in the future. As a Boy Scout I took several trips to the Boundary Waters through Cliff’s, and we always had a great experience. Last year we decided to return to the Boundary Waters again for the first time in many years, and I immediately thought of Cliff Wold’s to outfit our trip. Their gear is good quality, and their service makes planning a trip a breeze. My favorite thing about outfitting with Cliff’s is the menu though! We always eat well in the wilderness. I would recommend them to anyone. Trip number 5 with Cliff Wold’s! Ryan – I want to thank you for another great trip this year. We had a wonderful time with our boys! Even with 4 teenagers we NEVER ran out of food. Your equipment was in excellent condition – I couldn’t ask for a better set of gear – from tents to kitchenware. I also want to thank you for our trip in 2012. I will never forget the effort you were willing to make to come find us when we had a death in the family back home. For those reading this – Ryan was contacted by our family asking if he could track us down. Without hesitation he immediate loaded up a canoe to come find us. This meant more to us than you will ever know. You will always be our outfitter for the Boundary Waters! Thanks again! I first had Cliff Wold’s outfit a scout trip that I took about 20+ years ago. Ryan wasn’t with them at that time, but he sure has kept up the tradition of great customer service. Since I have returned to the BWCA in the recent years, we had Cliff Wold’s do our outfitting and were impressed with Ryan’s attentiveness and willingness to answer all of our questions. He personally checked up on us a few weeks prior to our arrival and ensured that we were all set. Upon our arrival, Ryan had everything packed and ready for us to just drive out to the campground so that we could get an early start the next day. We look forward to having Cliff Wold’s provide all of our outfitting needs in our future adventures in the BWCA. Cliff Wold’s is a very professional business with great employees. The equipment was top notch and the food was very good with plentiful portions for everyone. Lots of teenage boys on our trip and no one went hungry….and that says a lot! We will be back! Have been to the Boundary Waters several times over the past 15 years and have always used Cliff Wold’s as our outfitter. We have never been disappointed and Ryan and his team have done a wonderful job in filling the void left by Cliff’s passing. We’re looking forward to another great adventure early this summer. My father-in-law talks about the great experience he had with Cliff Wold’s back in the 60’s. Over the last 5 years, I have been taking my boys on a father-son trip to the BWCA through Cliff Wold’s. Ryan continues to provide the same great experience that my father-in-law talks about from the sixties. We had a great experience using Cliff Wold’s Outfitting. While it was my first time there, they remembered my friend and greeted him by name when he walked in the door. They were professional, prompt, and friendly throughout the entire experience. I would recommend them to anyone planning a trip to the BWCA. The Boundary Waters is one of my favorite vacation destinations. I have gone numerous times since 1990. Each time we have used Cliff Wold’s as our outfitter. I remember the first trip wondering if we had everything we needed for a week out on the water. To my surprise there was always more than enough food, and it was good. The tents and sleeping bags were clean and ready for use. The gear was more than adequate for all of our needs. That has been my experience on every trip. A group of us went over Labor Day this year and Ryan’s attention to our group from arrival to the time of our departure was tops. I am looking forward to the next trip! Ryan and the crew at Cliff Wold’s are the perfect outfitters to make your Boundary Water experience memorable and fun. They are very friendly and have excellent and well maintained equipment and canoes. Their flexible food and equipment packages provide just what you need to supplement your gear so you don’t pay for what you do not need. They are very punctual and have clean comfortable cabins for a reasonable price. There is no reason to book with anyone else because Cliff Wold’s is the best! See you guys next year!! Our family had taken several trips with Cliff’s in the 80’s and 90’s. Now that we are older, and have older “kids” to take with us we wanted to try it one more time. Well, this year’s trip will not be our last! The wonderful staff helped us to plan a trip for the wide range of ages and capabilities. We ALL had an amazing time, we all want to go back, and those who could not make this trip are begging to go. The planning, equipment, advice and attention to detail were just as incredible as they have been since our first trip in 1985. We highly recommend Cliff Wold’s to anyone considering a trip to the BWCA. First rate all the way. Twenty years ago I enjoy 3 different trips with Cliff’s. I’m thankful to share that this past I enjoyed yet another amazing trip into the BWCA – this time with the first of our 5 children along. Ryan and his team did a wonderful job of having our gear in to good shape, plenty of tasteful food, and a real personal touch. They were willing to do a 4:30 a.m. pick-up at their campsite so that we could beat an oncoming series of rain storms – something clearly above and beyond. I expect to be back this coming summer with our second and the rest are lining up. I am thankful to see that same quality and dedication hasn’t changed in 20 years. Ryan and his crew made sure we had a fantastic time in the beautiful Boundary Waters. I will definitely go back and I will definitely use Cliff Wold’s. Thank you so much, guys! This is one of my favorite adventures! We have been using Cliff Wold’s for over 30 years. Ryan has continued the great service, knowledge and experience I have come to expect. Cliff Wold’s Outfitting is by far the best outfitter in Ely, Minnesota. We had equipment that was practical and reliable as anyone would expect. The best part of was the CUSTOMER SUPPORT. Thanks Cliff Wold’s staff. We visit Ely every September and have used Cliff Wold’s Outfitters exclusively. We just love what they do there. Ryan is always very friendly and gives us great fishing tips. Thanks to Ryan and his team. I’ve trusted Cliff Wold’s to support our trips to the Boundary Waters for decades now. They consistently provide great service and supplies; special people in a special part of the world. What an incredible time (again) we had on our Boundary Waters trip this summer. We can’t thank Cliff Wold’s Outfitting enough for making it such a success. Their food and equipment is top notch. More than that they worked with us for months before our trip to make sure everything went smoothly. Our Scout Troop has used Cliff Wold’s on our last 6 trips and will use them every time going forward. They are true professionals and good people. I have been traveling to the Boundary Waters area my entire life; vacationing every summer at my family’s cabin on Lake Vermillion. I developed an affinity for the area and have explored many parts of the region such as Voyagers National Park and the coastal area of Lake Superior. In recent years, I began accompanying a group of close friends who make an annual pilgrimage to the BWCA. This annual trip is not just a vacation for most of the crew that has been making this trip for the past twenty five years, and is seen by new comers as almost a religious experience for the seasoned crew. The annual trip is anticipated well in advance, and the preparation becomes as big a part of the tip as the trip itself. The Cliff Wold’s staff plays an integral part in developing a rewarding and memorable trip beginning by calling upon second to none knowledge and experience with trip planning. The staff is able to interpret a group’s goals and wishes, accompanied with up to date and in-depth knowledge about the BWCA and Quetico, to advise a put-in point and trip route that will meet and or exceed the desires of their guests. The staff maintains superb communication with their guests in the time prior to their arrival in Ely. Any questions are met with skillful reply and genuine attentiveness to everyone’s unique requests. As with any of their services, the staff will create custom provisions for every group ranging from but not limited to transportation, menu choices, gear, and park information. Upon your arrival in Ely the Cliff Wold’s staff becomes an extension of your group helping you to settle in and address any last minute needs that you may have all while exhibiting genuine and professional character, making a great first impression for your North woods experience. From your first day out then to your first day back, the staff is always punctual, friendly and attentive, adding quaint surprises to an already remarkable trip. If you choose to finish your trip at their Campground you will find pleasant amenities and no shortage of hot water for your first shower in a week or more. My friends and I are already planning another trip for this coming summer and look forward to many more years as guests of Cliff Wold’s. As in the past years, the experience we had with Cliff Wold’s was excellent. The equipment was very good, the food was plentiful and good, and assistance from you and your staff was the best. Troop #94 has used Cliff Wold’s for all our treks into the Boundary Waters and have never had a bad experience. Ryan’s advice on campsites, portages, and fishing has always been right on. On this trip we had good fishing, no problems with portages, and the campsites were good. Thanks for all you did to make the Scout’s experience a good one. Been on two trips with them, very good outfitters, I highly recommend them to anybody looking to do a trip. They are willing to do anything to work with you to make your trip that much better. Thanks for all the help in preparing our trip into the BWCA. We had a great time, and will look forward to using your services again in the future. This being our 3rd completely outfitted trip with Cliff Wold’s, we have always been very happy with your service, products, and food. We hope you all have a great summer, and year to come, and will probably be seeing you again in 2012. Great outfitter! Ryan and his staff helped make our trip one to remember forever. Can’t wait to go again. I would use these guys in a heartbeat again. Ryan did and incredible job of making sure we had everything we needed for our five day trip in September. Worked with us on everything and the equipment and supplies were great. Way to go Ryan, you do a great job man! Thank you so much for a great experience! You provide a super outfitting for groups. Really helps make organizing and implementing trips easy! Congratulate everyone on a job well done! Great trip, food and hospitality! Thanks Ryan and your crew, your customer focused service helped make a trip filled with great memories! Well, I just got back from a trip using Cliff Wold’s as an outfitter. I used them back in 1998 and 1999 so I instantly went back to use them again. All I can say is… WOW! The newer owner, Ryan Olson took WONDERFUL care of us. Everything was in order just as it should be. He was on top of everything. There was a few things we asked him about when we first arrived, just a few little things, can we have an extra this, that or the other. Well, being so excited, we got out on the water and thought.. CRAP, we forgot to get those things. Upon our arrival to the first camp sight, everything we asked about, he had packed for us. Thanks Ryan, made everything a perfect trip for us. He made sure, he asked, told, showed us everything he could to make our trip better. He asked for feedback on everything from his canoes, to his NEW Eureka tents, to the back packs and the food. Great customer service and I can not wait to make another trip with Cliff Wold’s. Good luck Ryan on your adventure in Cliff Wold’s… You seem like the perfect person to carry on the name. Great rates on equipment and good tips on routes. Previously rented from another outfitter, have used Ryan and crew last 2 years and will continue to use Cliff Wold’s. My father has been using Cliff Wold’s since the late 1960’s, he has over 30 trips to the BWCA, all outfitted through Cliff Wold’s and I have been on 10 trips outfitted through Cliff Wold’s. Great company! Ryan and his staff are knowledgeable and make sure you have everything you need for a great trip. I recommend Cliff Wold’s to everyone! We had a terrific vacation thanks to Cliff Wold’s. They provided all the gear we needed to complete our trip, but the real difference is the staff at Cliff Wold’s. We found the staff to be very flexible during the planning process and had valuable insights to provide our group with the best possible experience. We will be using this outfitter for all future trips to the Boundary Waters. Thank you Cliff Wold’s for making a summer vacation an unforgettable adventure. We wish to send a testimony to any reader. My wife and I have received the superlative provision provided by Cliff Wold and his staff for more than 30 consecutive years. In all of them, our experience has proven exceptionally memorable. Each of our group would give the identical report. Thank you Cliff and Susan and all the staff of those plus 30 years. 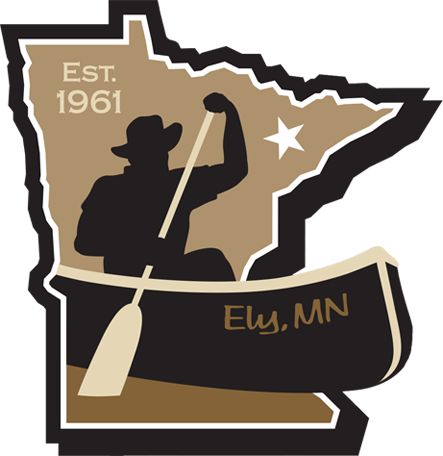 We started coming to Ely and the Boundary Waters the summer of 1968. I was the leader of the first all girls group outfitted by Cliff Wold’s. Between my husband and myself we have come every summer since and have brought well over two thousand people to Cliff Wold’s, the Boundary Waters and Quetico! That’s 43 years of great trips, incredible memories and every type of wilderness experience you could want…All due to the outfitting of Cliff Wold’s!! What makes Cliff Wold’s so great that we would come back over and over despite all the changes in policies for this area?…It’s the durable, clean, well thought out equipment, the food and how it’s packed day by day, but most of all it’s the people who care about you and your group, “like you are their only very special customers!! !” For years it was Cliff, Sue & crew…and now it’s Ryan & crew, always bending over backwards to make sure you have the greatest trip possible!! A thank-you for a wonderful outdoor experience for my grandson and I this past summer in the Boundary Waters. It was an adventure we’ll never forget and one I will always be grateful to have shared with him. We have you and staff in large part to thank for that opportunity. Your assistance and experience in securing the necessary permits into Canada along with the excellent equipment and advise were indispensable. Couldn’t have done any of this without your help and guidance. Thanks so much and please consider us for a reference anytime you wish. Cliff Wold’s and the BWCA are synonymous. The rich history of paddlers that have come through these waters can attribute their life changing experiences to Cliff and Sue Wold. This traditional and dependable outfitter has put together the real deal! Our group of first time paddlers in the BWCA believe we were treated like royalty. Since it was our first time paddling the Boundary Waters our group decided to rely on an experienced Outfitter. A good friend of ours who has paddled the Boundary Waters for 30 years said, “You have to use Cliff Wold’s, you won’t be sorry!”. After our initial request for assistance, Cliff Wold’s was there to answer every question concerning registration, gear, maps, navigation, preparation, meals and skills. Cliff Wold’s has current, relevant, light weight and durable equipment that will make your experience unforgettable. You request it, they deliver! The staff was very responsive to our individual needs. We had a vegetarian in the group and they supplemented/modified meals to compensate for her needs. The bunkhouse was spacious, comfortable, clean and affordable for the two days we needed a place to reside. We wanted to experience fishing on the Boundary Waters and Cliff Wold’s provided live bait the morning we departed. The evening we arrived Cliff Wold’s verified our trip plans, route and maps. They discussed safety issues, recent fires in the area and wildlife sightings. Our group, just like groups before and groups yet to paddle, were completely satisfied with Cliff Wold’s as our Boundary Waters Outfitter. We highly recommend you rely on this group of unselfish, hard-working individuals to make your experience the dream of a lifetime! Ruth and I wanted to thank everyone at Cliff Wold’s for your excellent outfitting service in support of our inaugural trip to the Boundary Waters. Trying to organize such an expedition from so far away is never easy, and neither is embarking on such a venture with equipment that is not your own. However, your service was exceptional. The Souris River Quetico 17 was probably the finest canoe I’ve paddled, and the new tent, cooking stove, and sleeping gear fully met our expectations. Furthermore, it was the attention to detail of you and your staff that made things so relaxed. In particular, I am thinking of your initial suggestions that helped me plan our route, the custom meal selections, all the transport timings when we arrived and, of course, the accommodation and transport you kindly provided when we were in Ely. Please pass our special thanks to Matt Kidd as well as the two Jeremys. We are always on the lookout for new adventures, but Ely and the Boundary Waters have become special places to which we really would like to return one day. Please keep doing what you do so well, and we will happily recommend Cliff Wold’s to all that we tell about our adventure. Just a note from sunny Florida, to cold Minnesota. Thank you and your crew for all the information and help on our canoe trip. The four of us have not been on a canoe trip for longer than 30 years. The suggestion of September was great, the weather was good, the trails were “less traveled” and there were very few bugs. As we remembered, the food was excellent and very easy to prepare. The beef stew was such a hit we tried it out for Deer Camp this season and it was a great. We have already started planning the 2014 trip and the first vote is for another September trip. We will keep in touch for route and other suggestions. Your crew did an outstanding job, enabling us to have four great canoe treks. I enjoyed the lightness of the Kevlar canoes for the first time, even if they do “drift” a bit in the wind. Many people have asked us why we use Cliff Wold’s and I tell them it boils down to two things: great service and good value. Keep up the great work! Ryan, I just wanted to tell you and your staff that we had an outstanding trip to the BWCA last month. I can say that you and your staff’s attention to details, made our trip the very best it could be. I have visited the BWCA multiple times over the last 20 years with Scout crews and I can say that Cliff Wold’s Outfitters are the best! My most recent trip was with 6 scouts and 2 leaders whom have never experienced the BWCA and everyone commented on how perfect their trip was. Please extend to your staff that we really appreciate the courtesy and personal attention to our specific needs, and left us wanting nothing. The food was awesome and plentiful, the equipment was spot on for the area, and the cost was extremely reasonable for the total package promised. Cliff would be proud of the legacy you have kept going….. When preparing for a trip into the Boundary Waters, one should look no further than Cliff Wold’s Outfitting Company. Their attention to detail in preparing the customer for a wonderful fishing and/or camping experience is unparalleled. From the expert packing of all of the camping equipment and cookware to the “second to none” food they custom prepare and package for their customers. My wife and I have been going to the BWCA since 1980 and we have been outfitted by Cliff Wold’s each and every time. After taking over the business, Ryan and his employees have made the transition virtually unnoticeable. Everything is still just as neat, clean and organized as it had been when Cliff was still at the helm. This past August we took one of our grandsons with us for his first BWCA experience and it couldn’t have gone any better. I have also camped and hunted out west and in Alaska for over 30 years and have had many experiences with freeze dried meals. Cliff Wold’s meals are really “second to none” when it comes to the quality of the food. Thankfully, now I only purchase my packaged meals through Cliff Wold’s each year for my camping and hunting trips.